Voters in Kibera started to line up to cast their vote as early as 5am. Many voters were frustrated by the long lines and slow pace, but remained patient. 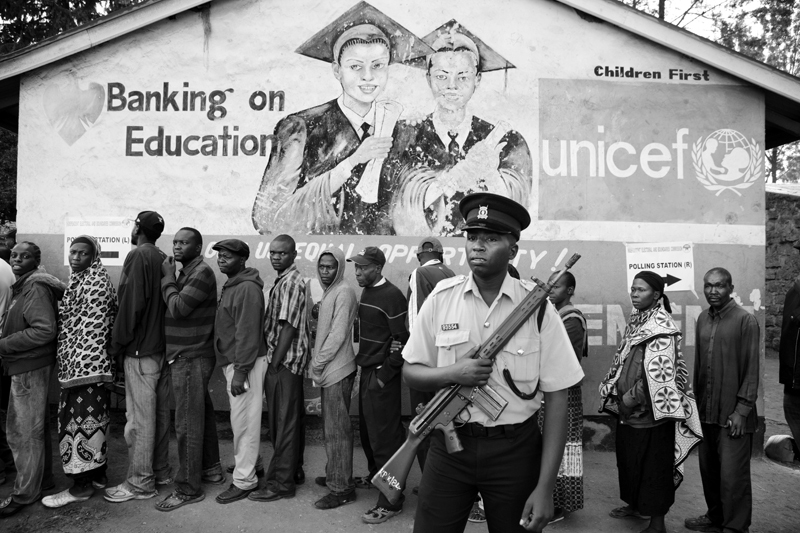 The Kenyan police were present to keep people from cutting in line and make sure voters remained calm. A kenyan police officer stands guard at Old Kibera Primary school, awaiting the arrival of presidential candidate Raila Odinga on March 4th, 2013 in the slum of Kibera in Nairobi, Kenya.